spoilers? 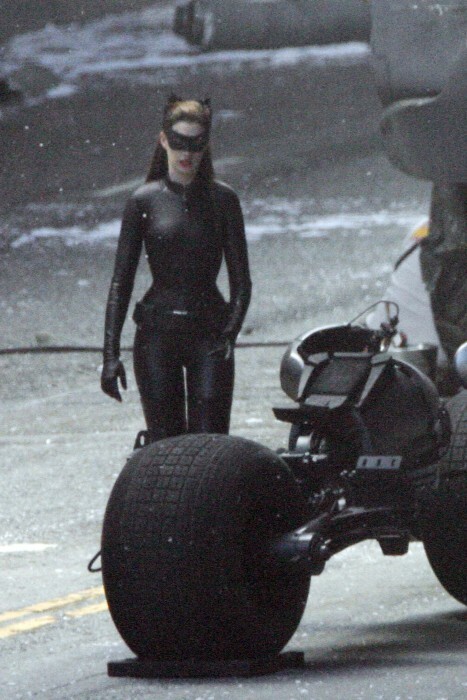 i think pretty much everyone knew catwoman was going to be sporting leather/latex. The problem with Batman is the atmosphere. Remember the first one? It was dark and dismal, danger in every corner. The second one had sunshine in certain shots, and just looked like a regular city. It isn’t Gotham anymore, just a regular old city. Told you the outfit needed moar kitteh. The ears do wonders. If I’m guessing the nature of your concern correctly, I believe they may be taking the Captain America approach in regards to the costume. If you mean a retro look, she would have a bright purple suit with a green cape. 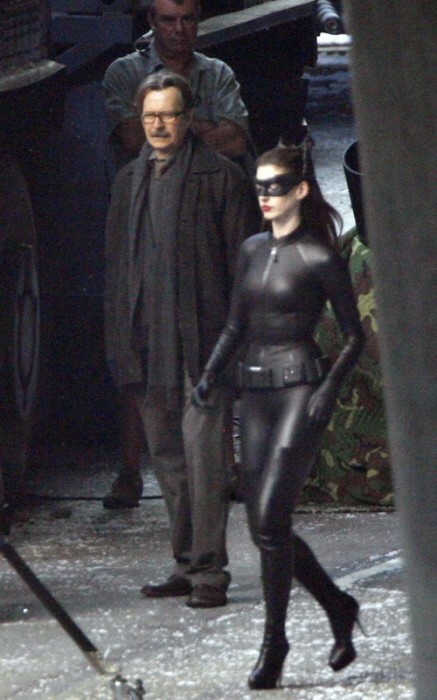 I’m guessing this Catwoman is a good guy from the start. 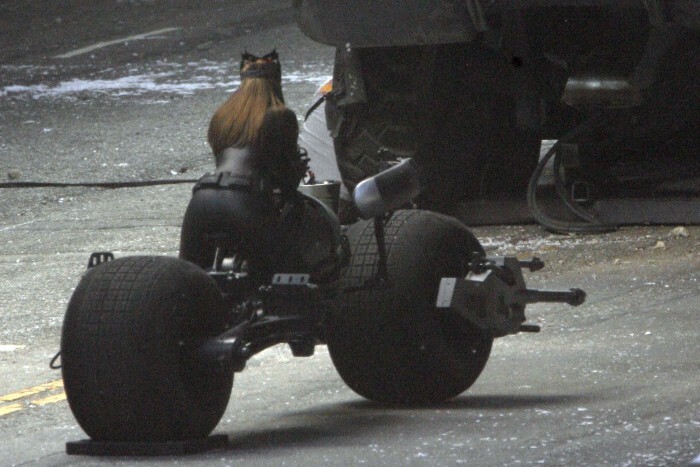 I can’t think of any other reason Batman would trust a criminal with his bike. Of course, she could have stolen it. Wow, hip to waist ratio FTMFW. 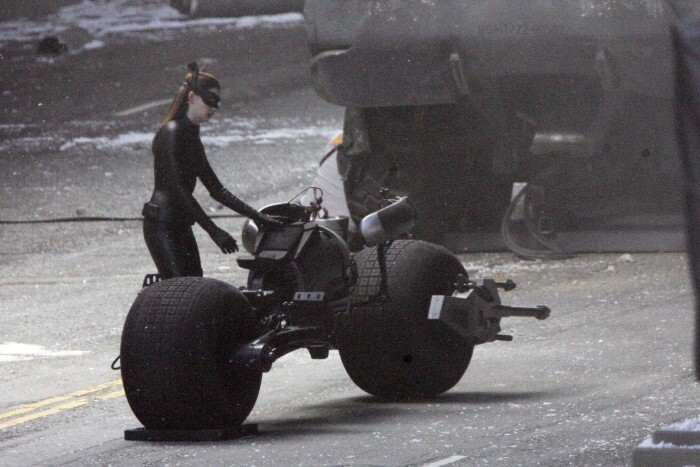 I usually like Ms. Hathaway very much, but I think as Catwoman she looks just horrible and is a total mismatch. She looks so much like a warm and inviting character, not at all super sneaky, acrobatic and kinda criminal.